Delving into an important constitutional issue, this thorough examination details the up-to-date legal arguments involved in the indigenous-rights debate around the 1840 Treaty of Waitangi. Uniquely combining conceptual academic theory with grounded and realistic suggestions for ... read full description below. Delving into an important constitutional issue, this thorough examination details the up-to-date legal arguments involved in the indigenous-rights debate around the 1840 Treaty of Waitangi. Uniquely combining conceptual academic theory with grounded and realistic suggestions for improving the ways the New Zealand government deals with the Maori, this comprehensive account outlines the significance behind an unresolved controversy that affects New Zealand's identity and culture, as well as their constitution, law, and economy. 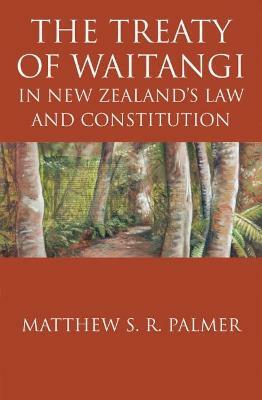 Matthew S. R. Palmer is the recipient of the New Zealand Law Foundation International Research Fellowship at the Victoria University of Wellington, the University of Cambridge, and Yale Law School. He is the coauthor of Bridled Power.